Clinique Anti Blemish Solutions Cleansing Foam Review: Is It Safe And Effective? Clinique Anti Blemish Solutions Cleansing Foam, US $2o.50 for a 4.2 oz. 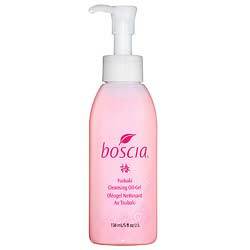 bottle, delivers an anti-acne wash cleanser that helps calm and soothe skin irritations as it purifies and promotes your blemish-freeskin. About Clinique Anti Blemish Solutions Cleansing Foam — Does It Really Work? This product is brought to you by Clinique, the skin care brand that popularized professionally formulated solutions in a bottle. Later on in its history marked by a hugely successful track record, Clinique was acquired by Estée Lauder, a global brand of fragrances, skin care and other personal care products. Help clear your skin of blemishes and acne marks. 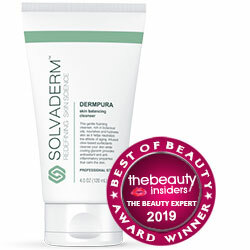 Promote tighter pores and a smoother skin surface. Enhance skin regeneration and renewal. Treat existing blemishes and prevent future breakouts. Regulate sebum production and excessive skin shedding to help keep your pores clear and uninfected. What Are The Ingredients In Clinique Anti Blemish Solutions Cleansing Foam ? Salicylic Acid: A beta hydroxy acid that works benefits for acne-prone skin in three ways — it exfoliates to facilitate faster skin regeneration and turnover, then it helps prevent excessive sebum production, and controls skin flaking. Acetyl Glucosamine: Supports skin exfoliation to speed up rates of repair and renewal necessary to clear your skin of blemishes, acne marks and other skin imperfections to reveal your healthier, flawless skin complexion. Lamincaria Sacharina Extract: Lightens hyper pigmentation, it also has a calming effect on your skin which, in turn, enhances your skin’s natural radiance. Clinique Anti Blemish Solutions Cleansing Foam must be used as the first step in your anti-acne regimen to prep your skin to receive optimal treatment. 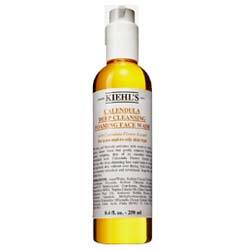 The manufacturer recommends using this with the rest of the products included in its Acne Solutions Clear Skin System. Clinique Anti Blemish Solutions Cleansing Foam is not formulated with fragrance ingredients. This product is widely distributed which makes it very accessible. 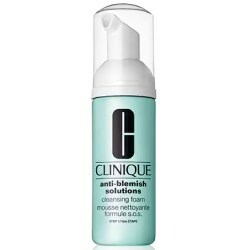 Clinique Anti Blemish Solutions Cleansing Foam Reviews indicate that this product delivers a clarifying effect on your skin, and it thoroughly rids your skin of impurities, including stubborn makeup. This product has been reported to cause severe forms of dryness even on combination and oily skin types. Clinique Anti Blemish Solutions Cleansing Foam reviews show that several users have experienced some forms of irritation. Does Clinique Anti Blemish Solutions Cleansing Foam Have Any Side Effects? Skin irritation and allergic reactions due to several ingredients, including peppermint. Increased risk for developing various forms of cancers due to PEGs. Increased risk for developing diseases associated with the reproductive organs due to EDTA. Increased risk for nerve damage and brain dysfunction due to phenoxyethanol. Clinique Anti Blemish Solutions Cleansing Foam offers a unique and intriguing lineup of ingredients for a cleanser. When it comes to acne, though, it takes more than just a cleanser to clear your face for real.